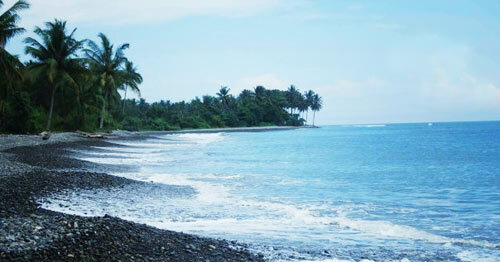 Terbaya beach that was located on the left of the road 3 km gazed at the centre of Kota Agung city from the side of Bandar Lampung was the maritime tourism object that was busy visited by tourists during holiday and week final. The position of the highway and the entrance the location was in ± 25 m dpl height (above sea level). This situation enabled the visitor to enjoy wide scenery to the side of Semangka bay and the sand beach that this extension seems like not stepping aside in these two tips. In the road to descend towards the beach, was gotten by the source of the clear spring that could used to rinse. The coastal management still was not touched modern equipment as well as the community’s tradition that still was awakened good, made this place apparently original-natural.